I love anything glitter so naturally it seems that would translate into my makeup, but actually I am simpler when it comes to my makeup. 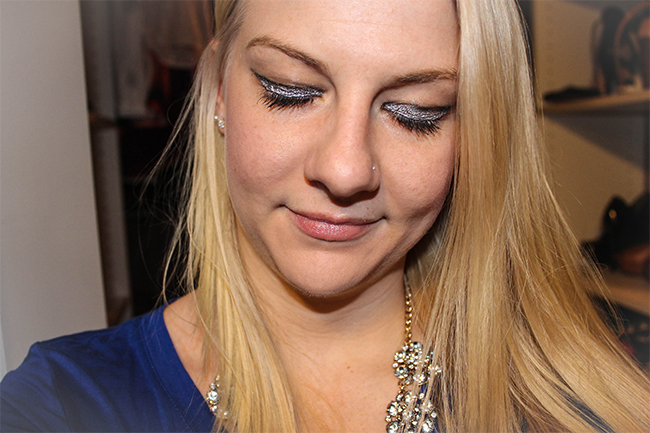 I wear the same neutral shadows but love mixing it up once in awhile so metallic eyes I was all over. I teamed up with Ulta Beauty to show how you can make this perfect holiday look with just a few products. It's great because a lot of the items you need, you probably already have so its pretty simple and affordable otherwise! So here is how to achieve that metallic eye look in three easy steps! Step 1: Apply primer to your lids - preferably one with a tint to help retain color and longevity Step 2: Take your metallic liner and draw a thick line on your eyelid. Drag it out to get a higher impact look. Step 2A: So this step is option but I actually took my silver eyeshadow with a angled brush and actually went over the line I drew with the pencil to give it more impact. Step 3: Take your liquid eyeliner and draw from the outside of your eye in. Basically on top of your glitter pencil draw liner to make it pop. Step 4: Finish with mascara! VOILA! 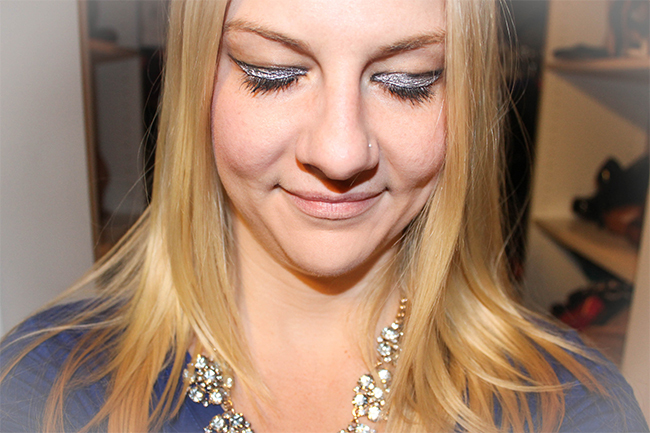 Just like that you have metallic eyes, perfect for the holidays and NYE! You can also pair with a bold lip color for even more impact or keep it simple like I did to focus on the eyes! I will admit I was really nervous to try this look on my own but it was so much easier than I expected. What look are you planning to do for the holidays! Hope everyone had a stylish weekend! You can also find Stylelista Confessions on Facebook, Twitter, Bloglovin' and Instagram Ulta Beauty did sponsor this post but all opinions are 100% my own.